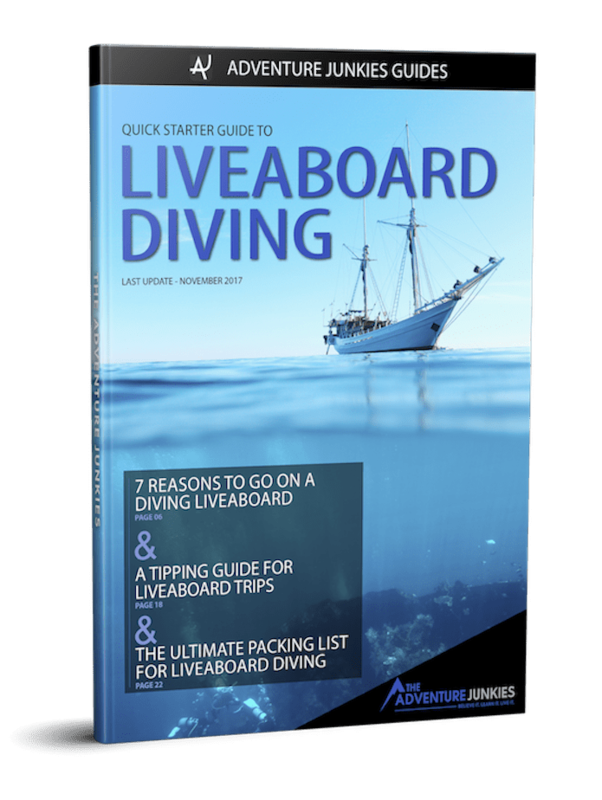 Choosing a diving liveaboard can be overwhelming, especially if it’s your first time. Holidays booked for October? If you still need some inspiration, why not check out our guide on the best liveaboard destinations to go in October? Conditions are rough in the Caribbean and the North Pacific, but this is the best time to see pelagics. Over in the Red Sea, temperatures are finally calming down after the scorching summer. There is plentiful marine life to be seen in the South Pacific and the Indian Ocean. Worth a special mention are the manta rays that congregate in French Polynesia at this time. Enjoy your trip! Belize has an extensive barrier reef and one of the world’s biggest blue holes. This Caribbean destination is also home to incredible fish life, including some endemic species. With a Belize liveaboard, you’ll have your pick of a variety of dive sites. Shoulder season in Belize boasts calm waters and short but frequent rain showers. The occasional plankton bloom will reduce visibility but attract manta rays. Divers coming in October and November will get a unique chance to observe thousands of mating groupers. Underwater seamounts and strong currents provide the perfect environment for pelagics at this uninhabited island far off the coast of Costa Rica. October is one of the best months for glimpsing hammerhead sharks. A Cocos Island liveaboard trip is for experts only due to the currents and challenging conditions. Aside from hammerheads, you might also see whale sharks and manta rays this month. It’s high season, so be sure to book early. Conditions can be unpredictable at Cocos Island but you can expect wet weather, poor visibility and relatively calm surface conditions. This impressive extinct volcano drops off quickly into the open water, providing an ideal spot for pelagic life. With a Guadalupe liveaboard, you’ll have the chance to cage dive with great white sharks, who come to the island to snack on elephant seals. Liveaboard operators use bait to attract sharks to the cages, meaning you’re sure to see tons of them on your trip. October is especially exciting at Guadalupe, as divers will be in the water with enormous female sharks up to 18ft (5.5m) long! Weather conditions will be wet and cold with a risk of hurricanes. Consider getting insurance for your trip. Diving in Egypt means exploring out-of-this-world wrecks in the Red Sea, not to mention healthy marine landscapes and challenging deep dive sites. An Egypt liveaboard is the best way to discover everything this area has to offer. Shoulder season in the Red Sea gives a reprieve from the hot summers and chilly winters. October affords a chance to see thresher sharks, as well as the possibility to glimpse oceanic whitetip sharks at Elphinstone. Itineraries may be affected by winter winds but your liveaboard operator will usually take care of this. If you’ve already dived Egypt and liked it, then you’ll love Sudan. This up-and-coming Red Sea diving for connoisseurs, with less crowds, equally good wrecks and healthier marine life. A Sudan liveaboard is best suited to advanced divers, who can take advantage of the drift diving and tec diving. As it’s even hotter than Egypt, Sudan’s liveaboard season generally get going in October rather than September. Divers coming in October can see manta rays and thresher sharks. Although you’ll find the full gamut of liveaboard itineraries available this month, October is high season for diving so book early. French Polynesia is an archipelago of about 100 islands. Best known as a luxurious honeymoon destination, the country has a rich and varied marine environment. Advanced divers will be in their element drift diving with pelagic species. A French Polynesia liveaboard can also take you to wrecks and coral reefs teeming with life. Thanks to the calm waters and abundance of marine life, October is a great time to dive in French Polynesia. Plankton-rich waters attract manta rays, although visibility may be reduced. This is the beginning of the wet season and you may experience some rain. A mini-oasis protected from the ocean by a system of fringing and barrier reefs, Palau enjoys sheltered lagoons with soft corals, World War II wrecks and bright schools of fish. If you’re a pelagic lover you’ll do better past the reef limits, where ocean currents bring tons of pelagic life. Wherever you want to go, a Palau liveaboard can bring you there. October marks the transition from the wet season to the dry season in Palau. 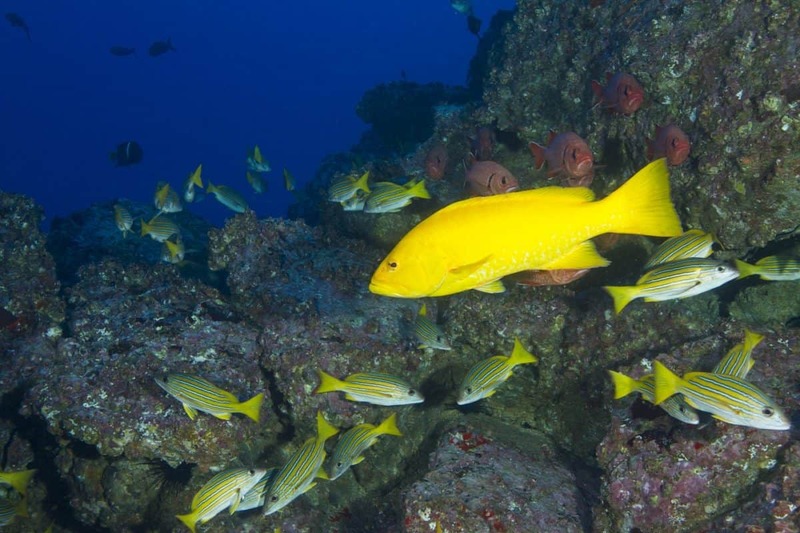 Conditions under the water should be great as always, with abundant marine life, balmy temperatures and fantastic visibility at many dive sites. Seasick-prone divers be warned – you might experience some choppy surface conditions. Truk Lagoon is riddled with the debris of Operation Hailstone, a US-led attack against the Japanese military in 1944. 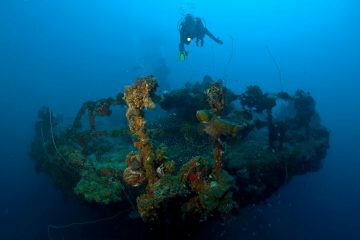 Nowadays, a Truk Lagoon liveaboard will bring you to wrecks that have become artificial reefs with a lively fish scene. 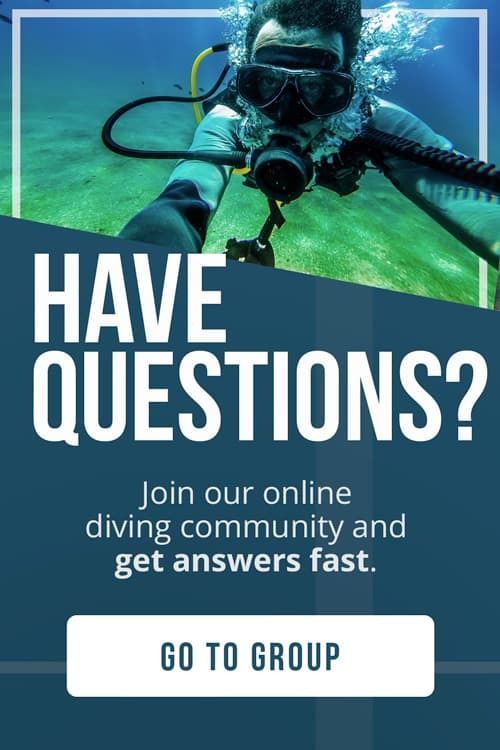 Tec-certified divers can take advantage of the deeper wrecks. Diving here promises calm conditions all year long thanks to the lagoon’s sheltered position. Water temperatures are also fairly constant, hovering between 81 and 86° F (27 and 30° C). You may see some rain in October. This remote country comprises of 115 islands located far off the coast of Somalia in the Indian Ocean. A Seychelles liveaboard is appropriate for any level of diver – dive sites here include colorful coral reefs, eerie wrecks and steep drop-offs with no shortage of pelagics. October in the Seychelles brings calm, warm waters and visibility up to 100ft (30m). You’ll run across some currents at the Seychelles but these depend mostly on dive site rather than the time of the year. 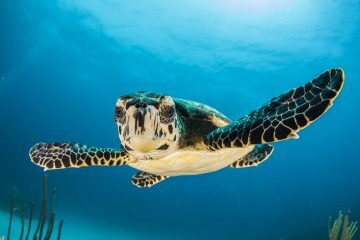 Thanks to several environmental protection initiatives, a trip to the Seychelles is an opportunity to partake in sustainable ecotourism and give back to nature. Most diving in India is done at the Andaman Islands, an archipelago of almost 600 islands with volcanic seascapes and bountiful fish life. Tourism is restricted in many areas and those who are lucky enough dive here will enjoy uncrowded dive sites and immaculate marine life. Because of the currents and steep drop-offs, an Andaman Islands liveaboard is best suited to experts. With the end of the rainy, windy monsoons comes the beginning of the diving season in the Andaman Islands. 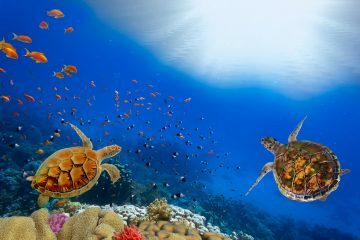 Marine life is at its peak in October, and while you may experience some currents and choppy surface conditions, this is widely considered a great time to dive the Andaman Islands.